During a short holiday in France I visited a castle in Compiegne with my pal Sigurd. 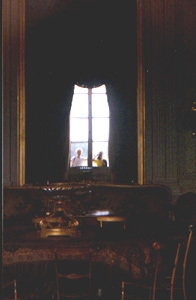 The castle was closed, but we took this picture looking through the window. The big mirror inside the room reflects us.